A brief overview of the legendary man. Ardrigh (pronounced ard ree) the Irish for High King is a name we have taken on in memory of Francis Joseph Bigger (1863-1926). 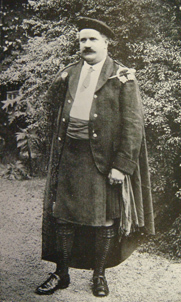 Francis Joseph (F.J.) Bigger was born in Belfast on 17th July 1863, the seventh son of a seventh son to a Scottish Presbyterian family from Mallusk, County Antrim. Throughout his life he was widely known as a tireless advocate for every aspect of Irish culture. Ardrigh was the name of his Antrim Road home in North Belfast. It became a meeting place for Irish cultural enthusiasts from every section of Belfast society. F.J. Bigger possessed a rare gift, that of engendering great loyalty in others. This allowed all those who shared a love of Irish culture to meet under the auspices of Ardrigh and commune across conflicting traditions and beliefs. Local artists, writers, musicians, Irish linguists and antiquarians would regularly gather in his extensive library at Ardrigh in order to discuss and celebrate all things Irish. The historian Roger Dixon has written that, in its time, it was known as 'the most hospitable house in Ireland'. The novelist Shane Lesley has described F.J. Bigger as 'a Protestant with Franciscan leanings,' aptly summing up the Anglo Catholic beliefs he inherited from his mother and his personal lifelong devotion to St. Francis. Accordingly, the well-tended gardens at Ardrigh were planted to encourage and support all kinds of local wildlife and beekeeping was a lifelong passion. As a partner in a Belfast solicitorÂ’s practice, Bigger was comfortably off, though as the youngest son of a large family he was far from wealthy. However, he freely spent his own money, time and inexhaustible energy in supporting and publicising the creative talents and endeavours of others involved in the Irish Cultural Revival. Amongst those he helped in their careers were the poet Joseph Campbell (Seosamh MacCathmhaoil) and his brother, the artist John P. Campbell (Seaghan MacCathmhaoil), the musicians Herbert and Fred Hughes, the Uillean piper Francis McPeake ('Da' McPeake), the artists John and Joseph Cary and the five Morrow brothers, particularly Harry Morrow the playwright and his brother, the fine artist and craftsman, Jack Morrow. As a passionate advocate of local history he was also the moving spirit behind, and frequently helped fund, numerous local cultural projects and commemorations. Amongst such projects were the 1798 centenary commemoration in 1898, the Belfast Harp Festival of 1903, the Feis na Gleann of 1904, the building of Shane O'Neill's cairn above Cushendun with its annual commemorative address and the Samuel Ferguson centenary commemoration of 1910. The most ambitious personal project was undoubtedly the renovation, in 1910, of Jordan's tower at Ardglass, re-named Castle Shane in honour of his hero Shane O'Neill (d.1567). The doors of Castle Shane were open to all in emulation of F.J. Bigger's personal interpretation of the ancient Gaelic clan tradition. 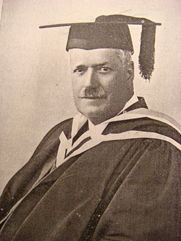 Between 1889 and 1926 he published around 370 articles for learned journals and over 600 articles in the popular press on every imaginable subject of local interest. 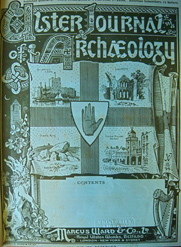 In addition, he was foremost amongst the group of antiquarians who re-established the Ulster Journal of Archaeology in 1894. The second series of the Journal ran from 1894-1911, coming under Bigger's sole editorship from 1900. It remains an informative and aesthetically appealing source for the local history of the north of Ireland. 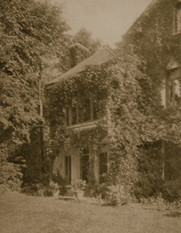 In 1986, after many years of neglect, Bigger's house at 737b Antrim Road was demolished. A modern development of private flats, Ardrigh Court, now stands in its place. 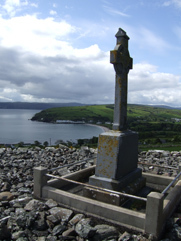 The view from Shane O'Neill's cairn, on the 440th anniversary of his death, 2nd June 2007, Cushendun, County Antrim.